We make a flatboat and a canoe from paper. Origami - not only developing art, but alsoAn excellent opportunity to captivate the child with an entertaining game with paper figures. 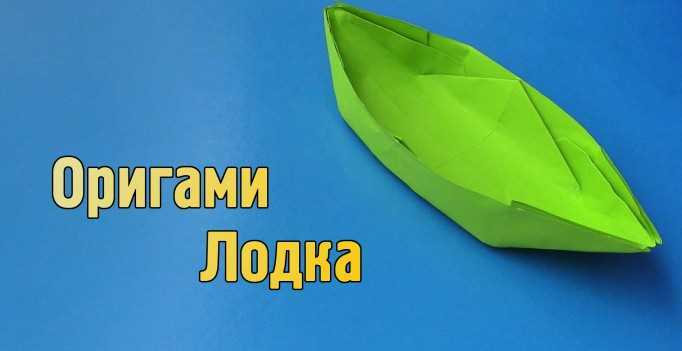 If the kid does not yet know how to make a boat out of paper, be sure to teach him how to fold such a toy. The child will develop a further script of the game himself: a paper boat can roll animals from the Kinder Surprise, and a "real" canoe is indispensable for every Indian to hunt and survey mysterious rock grottoes. What do you call the boat? Canoe and punt made of paper. 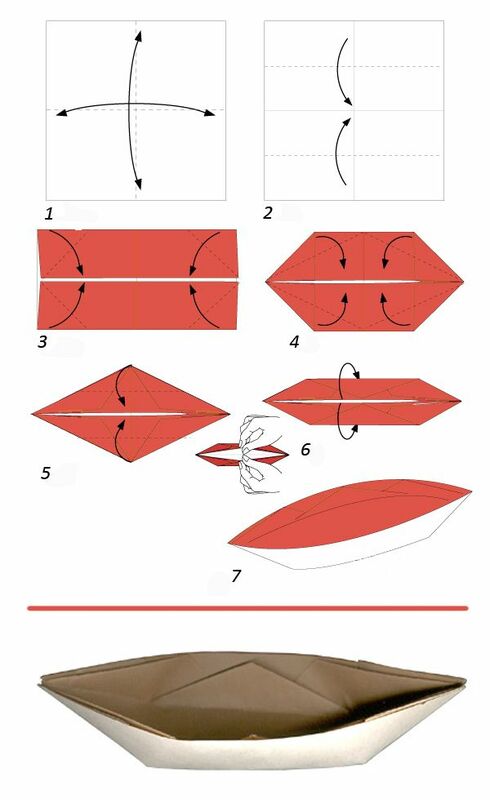 The origami boat folds simply and the task for a couple of minutes is assisted by a detailed step-by-step instruction. Having mastered the proposed schemes, show them in practice to kids. For children, the first skills of origami will be very useful: it's an educational game, and training for accuracy, and an exercise for concentration of attention. Step by step, we'll see how the boat folds out of paper with his own hands, relying on 2 elementary schemes. Carefully stretch the toy, press the inner folds - your origami boat is ready for launching. Carefully open the workpiece and, holding the folds, turn it inside out, then straighten the canoe noses from the inside. Not immediately, but your child will also getFold the original boat out of a simple sheet of paper. It is possible that soon the growing family member will surpass you in skills in origami technique. After a couple of months, do not be surprised if the child comes to you and shows you how to lay down a submarine or make a boat out of paper, and maybe even harder - a real two-tube steamer! Origami - a fascinating art, it is only necessary to get carried away once. Why not start now with a small paper boat? This detailed master class contains an origami-dragon scheme from paper, which you can make with your own hands. How to make a clove from paper with your own hands Decorative Christmas tree made of paper and cardboard by own hands New Year's crafts, the creation of Christmas decorations from paper, the various creation of paper balls with their own hands, how to make a beautiful garland of paper with their own hands. Flowers with their own hands, how to make a flower from paper with their own hands, flowers from corrugated paper, tips, recommendations, step by step execution instruction.